This week our team had a fabulous day together, utilising the strengths finder framework to mobilise the energy we need as a team, to respond to the ever-present challenge of the Whānau Ora approach. One of our tasks in the day was to choose a toy that spoke to us that day. One that particularly appealed was the image of none other than Captain Planet. And yes, if you hadn’t picked it, the association to Whānau Ora is unmistakeable! The power that counts the most is courage, to start a new journey, to draw on your collective momentum; to rewrite your own story. 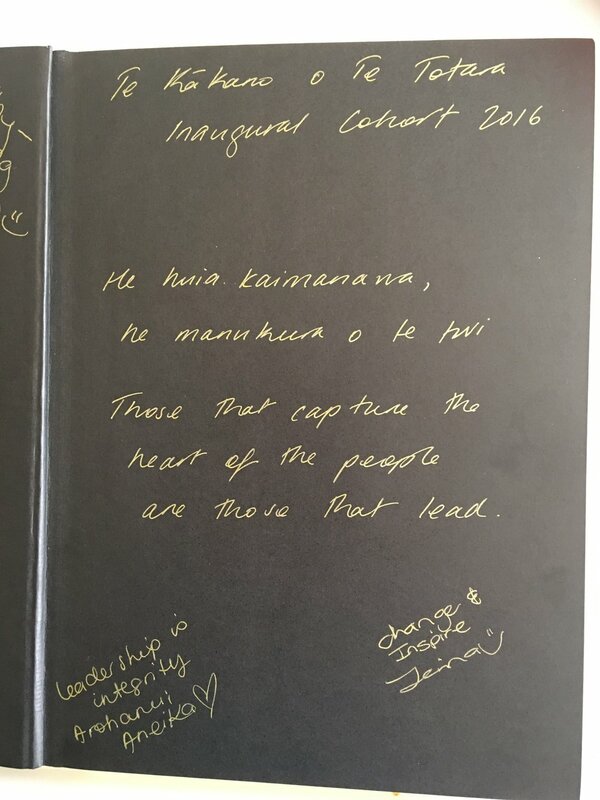 Our week started off with the fantastic energy of Te Kakano o Te Totara, as in the weekend gone, we hosted the final wananga and graduation of their leadership programme. Te Kakano o te Totara supports the growth of emerging leaders through wananga, networking, coaching and mentors to pursue whānau transformation. Some great reflections came out from the energy of our young leaders: 'Leadership is uncomfortable'; 'I am not alone in this dream', 'hit life', 'leadership is about compassionate action: a centrepoint for forming relationships'; - “it's all about knowing who's got your back”. I often think to myself, how lucky am I to come into contact with some amazing whānau. This week I accompanied one of our wonderful Whānau Ora Navigators, Abbey Namana (Te Mata Waka i te Tau ihu) to visit whanau in Seddon, following the 7.8 earthquake just weeks ago. We had a great visit with Ricky and Savannah who shared their whānau plan with us, including a humble aspiration by this young mum, as to whether one day she might end up creating a business through her raranga. When she showed us some of her beautiful taonga, we were overwhelmed! It was good to catch up with the new mentor and youth champion, Vita from Tiramarama Mai of Blenheim. We spent some time with Holden, who turned 16 on that day, and Gail MacDonald their amazing Manager. We’re really proud of the difference that Tiramarama Mai has made in the lives of young students across Marlborough. Tiramarama Mai is an innovative alternative education programme designed for rangatahi aged between 14 and 16 years of age. Located in Blenheim, Tiramarama Mai is delivered by Nga Maata Waka o Te Tau Ihu Trust and aims to support rangatahi to reach their potential, regain their sense of self-determination and contribute positively to their whanau, hapu, iwi and wider community. The aspiration is to support students to become employed, enrolled in further education or to return to mainstream classes. Tiramarama Mai is not designed to be a long term alternative education programme. The programme is strengths based, whanau centred and utilises Maori models of learning such as Te Whare Tapa Wha to identify student strengths and build a strong ‘whole’. The tutor and kaiawhina work with rangatahi and their whanau to develop an intensive plan to identify and develop their strengths. There have been many unintended benefits as a result of the project. For example, the Trust has worked with Queen Charlotte College in Picton. 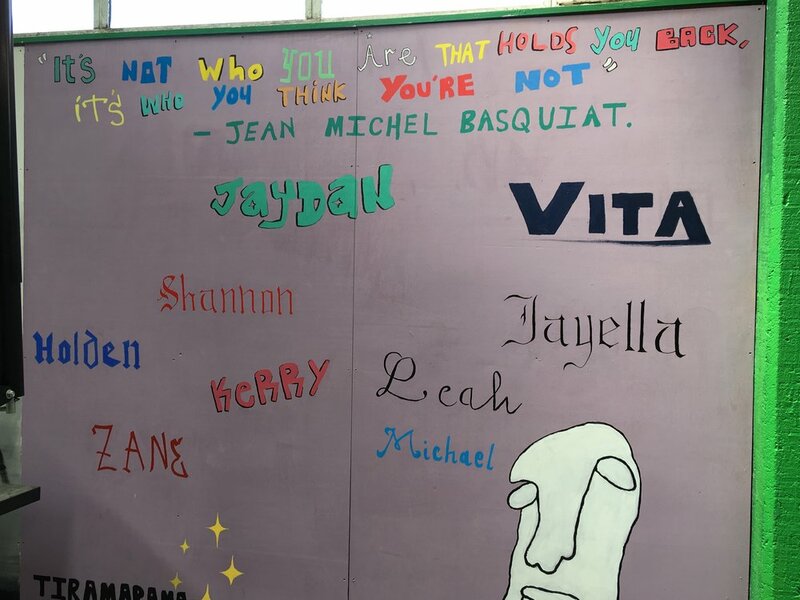 The school identified eight rangatahi that were on the verge of being excluded and the Trust delivered a programme around bullying, relationships and communication in the school. Delivery of this programme commenced in 2016 as an o_shoot of Tiramarama Mai. The Trust viewed this as an opportunity to work in partnership with the college and carry out some positive, preventative work with these young people and their whanau. It is a real pleasure, this week, to launch our digital story of this amazing initiative. Whānau Ora is all about intergenerational and collective transmission. This week that was proven in bucket loads with the launch of Live the Dream. Te Pūtahitanga is really proud to be associated, through proud Mums, Trisha and Maania, with two stunning sons, Tia and Tane, and our Innovations Director, Haydon Richards with his beaming mum, Nola. This week was also the graduation and final celebration of all of our entities who have participated in the Accelerator programme. Te Pāpori Whakatere is a development programme aimed at supporting the development of whānau driven initiatives (innovative ideas, organisations, and approaches) that have the ability to create far reaching social change for whānau. Te Pāpori o Whakatere is all about getting entities ready to roll; talking about sustainability; values and strengths; shields and forcefields; resilience; relationship management, pitching, needs, how you brand and market identity – in fact everything you need to know. Graduating today was Hale Compound Conditioning; Soul Full; Yoga in Schools; Rangatahi Tumeke; Hikoi Waewae and Bros for Change. It was just so moving to see the progress they have all made in transforming their ideas into action. The Minister for Whānau Ora, Hon Te Ururoa Flavell, made a visit to Blenheim this week to attend the Iwi Chairs Forum and to visit at the Earthquake Response Hub, in Queen Street. Chair of the hub, Shane Graham, and our contracts advisor, Te Ra Morris, make a mean team, along with all of the other team members from Te Puni Kōkiri and other agencies, who are working every hour of the day to make life better in these post-earthquake days. The Iwi Leaders gathering in Blenheim this week, also provided an excellent opportunity for Omaka Marae to share their vision with the motu. The vision of Omaka saw the marae as a place of learning, delivering seamless education where whanau could access early childhood, primary and tertiary education as well as whare hakinakina and maara kai. When Te Putahitanga launched its marketing campaign Omaka Marae leaders were inspired by the emotive language which aligned with the vision they had for Omaka Marae. They made a conscious decision not to become providers reliant on contestable funding and looked at ways to develop a number of kaupapa within the marae that had the potential to become self-sustaining. Te Putahitanga provided an opportunity for Omaka Marae to work with a like-minded organisation. This week they launched their beautiful new brand of products, the Manaaki range. Now that truly is the power of us – sumptous kai, fit for a hakari, tupuna-inspired, and the perfect accompaniment to any meal. Try it out!